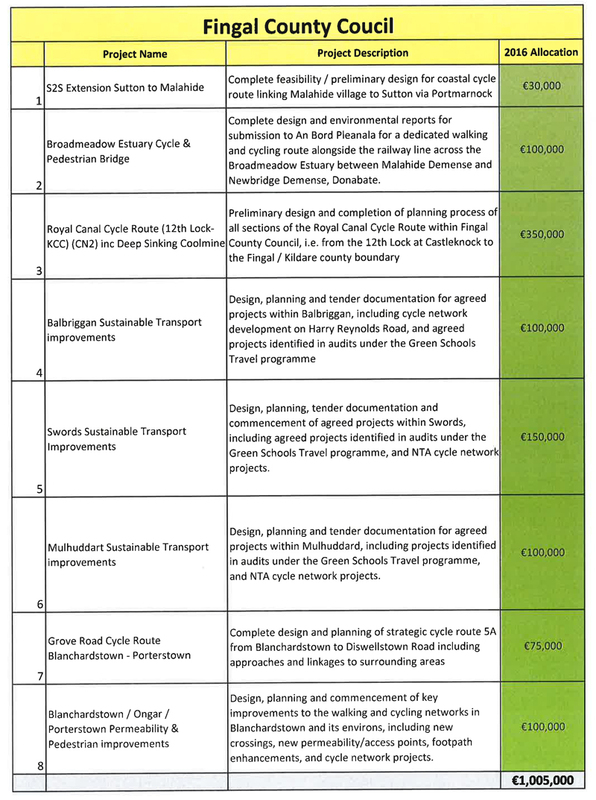 On Wednesday outgoing transport minister Paschal Donohoe confirmed the National Transport Authority’s sustainable transport measures grants for the Greater Dublin Area for 2016 — and we exclusively have the details from the authority. 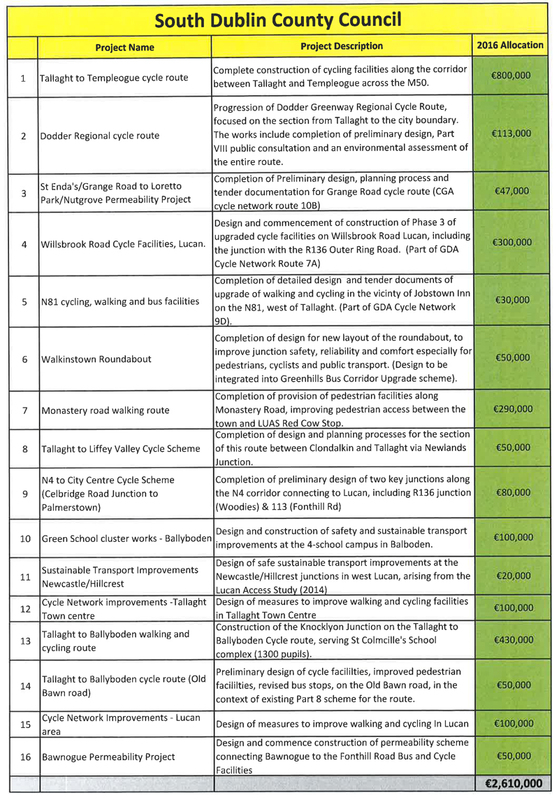 While €23.2 million figure seems large, it includes walking, bus and tram projects and campaigners say that cycling is not getting enough funding to meet targets of getting more people cycling. 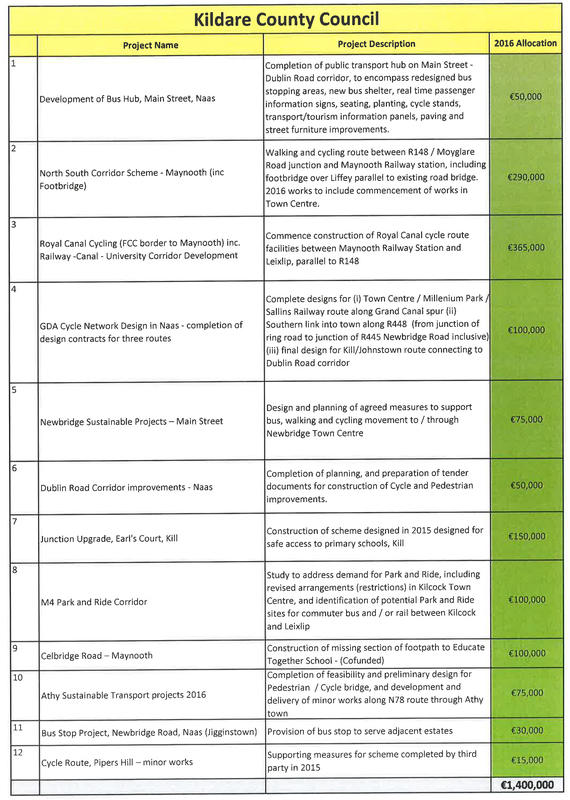 The funding includes the roll out of the Grangegorman DublinBikes expansion this year, and planning and/or construction work on routes such as the Dodder Greeenway; the Royal Canal Greenway; the Liffey Cycle Route; city centre to Fairview route; and the city centre to Clonskeagh to Sandyford route — full lists by areas are below. 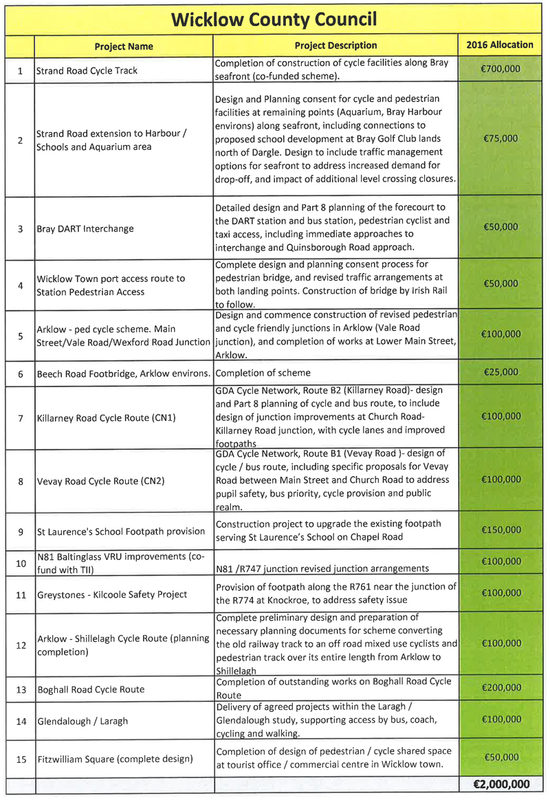 The funding breaks down by area to include €11,568,000 for Dublin City Council; €1,900,000 for Dun Laoghaire Rathdown County Council; €2,610,000 for South Dublin County Council; €1,005,000 for Fingal County Council; €1,400,000 for Kildare County Council; €2,409,500 for Meath County Council; and €2,000,000 for Wicklow County Council. 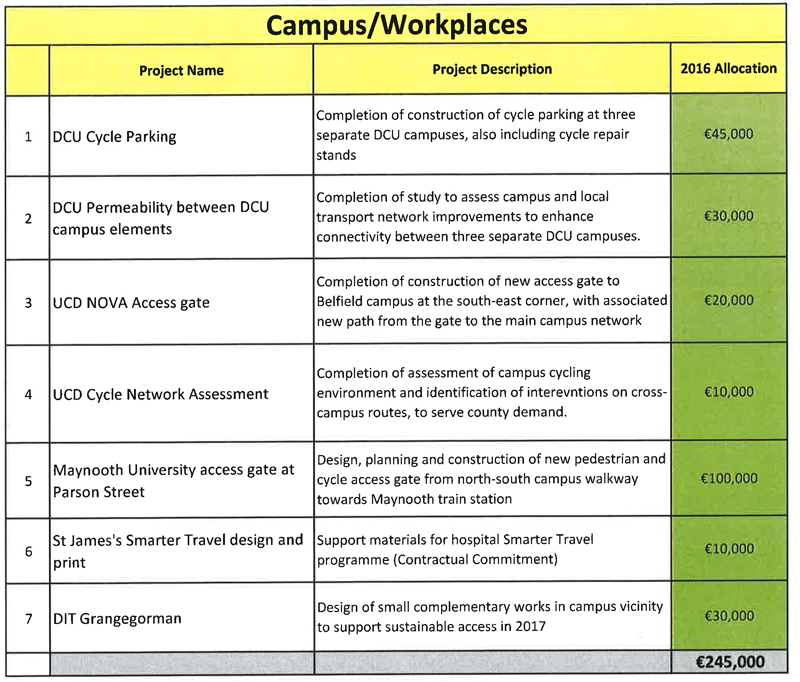 The OPW will also get €70,000 for Phoenix Park projects, while €245,000 will be split across campuses and workplaces. In the greater scheme of things it’s not much money. But having said that, it’s good that some of these works are being done. 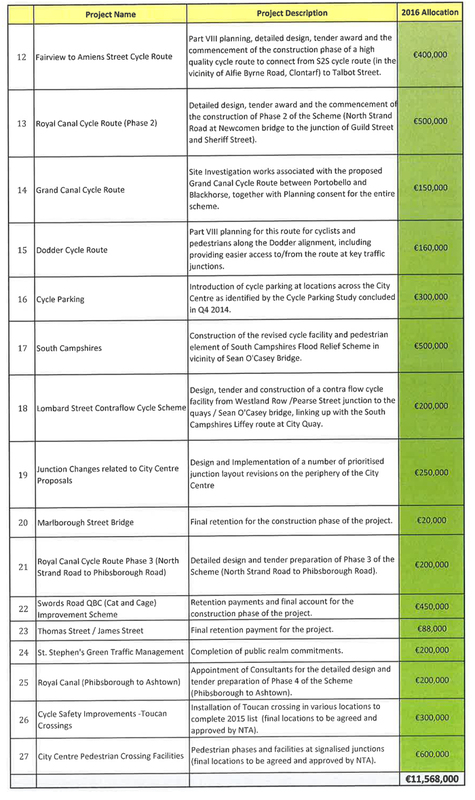 Things like the Royal Canal cycle route, the proposed extention of the S2S to Malahide, a wlaking/cycling route over the Broadmeadow estuary, new cycle parking facilities around Dublin city are all excellent. 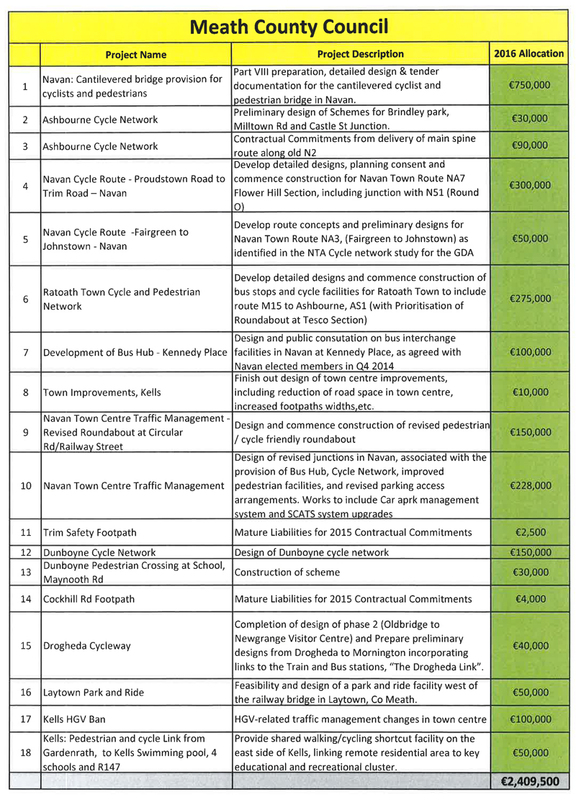 Glad, at least, to see that some expansion of the DublinBikes scheme should happen this year. It was starting to look stalled. 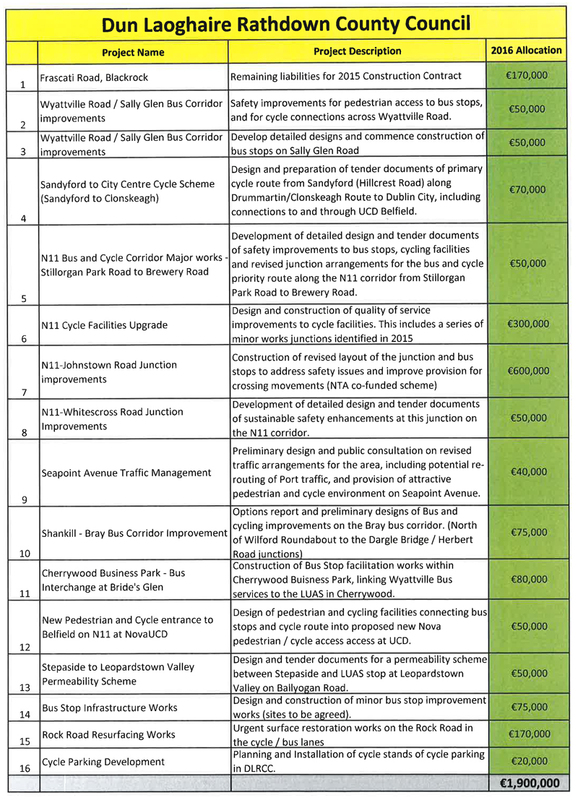 It’ll be interesting to see how the Arklow/Woodenbridge to Shilelagh railway greenway is planned, all the station houses are in use as homes or businesses. Dunno how much other encroachement is non-farming. There’s good macadam roads to Woodenbridge along the left /North side of the Avoca, apart from at the old Fert and the jail, and access through Woodenbridge Golf club is possible but permission to transit needed. 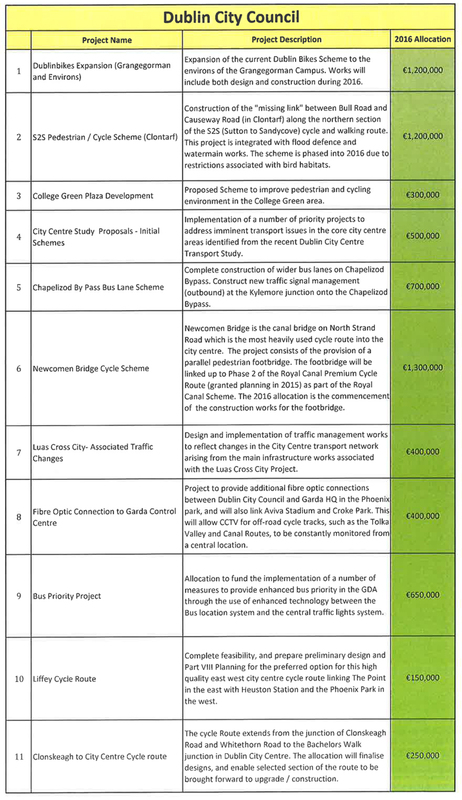 No mention of funding for the planned Boyne Valley to Lakelands County Greenway… I really hoped something would move in that area.